Mr. Shih is a Mission San Jose High School alumnus who accepted his undergraduate admissions to the University of California, Berkeley. There, he pursued a degree in Economics and subsequently entered the business field as a litigation consultant. After spending several years engaged in corporate America, he found a lack of personal fulfillment in his daily job. This was reflected by frequent snowboarding trips in the winter and steady involvement in amateur motorsports in the summer as a form of escape. Luckily, he found his true calling and profession – that of joining the ranks of educators who have a passion to serve the next generation. From 2005, Mr. Shih started his teaching career in Taiwan at a popular language school, instructing students of all grade levels from elementary to university. He also worked with adult professionals who needed instruction in business and conversational English. Gratified at seeing tangible growth and improvement in his students and their academic abilities, he knew he would become a lifelong educator. Continuing his own higher education, Mr. Shih returned to his alma mater, UC Berkeley, to obtain a Master’s degree in Education and a Professional Clear Multiple Subject Credential through the Developmental Teacher Education (DTE) program. While Mr. Shih enjoys working with all elementary grade levels, he is currently a Kindergarten teacher who has found that building a strong academic foundation at an early age is crucial to a child’s success. 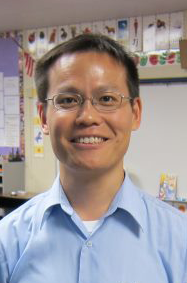 Joining the Mill Creek Academy excites Mr. Shih, as he is eager to work with the younger elementary students and support them in finding the joy in learning. He is committed to bringing the same passion that guides him in his professional career to the students in his Mill Creek class.